It’s Friday and time for a Sketch Challenge! Valentine’s Day is right around the corner so how fun the sketch is that of a heart! The Bloomin’ Heart Thinlits Dies are so beautifully detailed, you do need to do much to make it a wow card! This card quick fairly simple to create, the Big Shot and Dies do most of the work for you! With your Stampin’ Trimmer, cut a piece of Whisper White Thick Cardstock to 4 1/4″ x 11″, then score and fold at 5 1/2″. Cut a piece of Shimmery White Cardstock to 3 7/8″ x 5 1/8″. Smooch with Melon Mambo Classic Ink. You can download a tutorial on the Smooching Technique Here. Run a matching piece of Wood Textures Designer Series Paper with the Large Bloomin’ Hearts Thinlits through the Big Shot. Adhere to the card base with Mini Stampin’ Dimensionals. Tip: For a precision cut that is easy to remove, use the Precision Plate as the cut plate in your Big Shot sandwich. You can Watch a Video Here for more detail. Ink up the two flowers from the Bloomin’ Love Stamp Set in Basic Black Archival Ink, then stamp onto Shimmery White Cardstock. Run through the Big Shot with the Coordinating Dies from the Bloomin’ Hearts Thinlits to quickly crop them out. Color the flowers with an Aqua Painter and Melon Mambo Classic Ink. Adhere to the heart (in the spots they belong, as shown above) with Stampin’ Dimensionals. Add a Pearl Basic Jewel to the center of each flower and also the small holes in the heart die cut (9 Total). Ink up the Love You Sentiment from the Bloomin’ Love Stamp Set in Versamark Ink and stamp on a scrap piece of the Wood Textures Designer Series Paper. Pour White Stampin’ Emboss Powder over the Versamark Stamped Image, tap the paper to remove excess powder, then heat to melt with your Heat Tool. Adhere to the card with Mini Stampin’ Dimensionals. Cut a 6-inch piece of Linen Thread, tie into a bow and adhere with a Mini Glue Dot. Because of the intricate design of this die, you’ll get best results if you use it with the Precision Base Plate. I am sure you have noticed how much I absolutely love the Ink Smooching Technique! It just adds so much to the card and is so easy to do. I have shared a step-by-step tutorial on ink smooching and watercolor background, you can download it now by CLICKING HERE. The Pearl Basic Jewels are the perfect accent to step up this card. The muted tone goes well with the Wood Textures DSP that adds a little rustic touch to the heart. Melon Mambo goes so well with the tone of the Wood Textures DSP. I am on my 3rd pack of the Wood Textures DSP, that is how much I LOVE it. 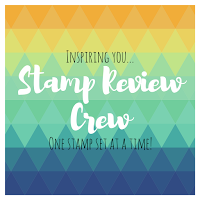 I really hope it stays around for awhile as I will be lost without it….but then again, I am sure that Stampin’ Up! will come out with another fabulous DSP stack and I will fall head over heals for…as I always do! Sure Do Love You, Pals Blog Hop! Pals Blog Hop, First of 2018! I have a feeling that a lot of the Pals will be using the same bundle & suite from the 2018 Occasions Catalog as I am! The Painted With Love Suite of products and the Sure Do Love You Bundle are a hit so far and the catalog just launched! Add the coordinating Heart Happiness Stamp set and you have everything you need to make fabulous Valentine’s Day Cards! Card Base: Whisper White Thick Cardstock cut to 4 1/4 x 11 in. Scored/Folded at 5 1/2 inches for a standard sized card that fits perfectly in our Medium Sized Envelopes. 2nd Layer: Real Red Cardstock cut 1/16 smaller than the Card Base (4 3/16 in x 5 7/16 in) and adhered with Stampin’ Dimensionals. 3rd Layer: Watercolor Paper cut 1/16 in smaller than the 2nd Layer (4 1/8 in x 5 3/8 in), Smooched with Water and the All-New Brusho Watercolor Crystals in Brilliant Red. Stamp Sets: Sure Do Love You Stamp Set / Bundle, Heart Happiness Stamp Set. Creation Details: I first used the Brilliant Red Brusho and added it to a small pool of water. I then took my stamp and used that pool as an ink pad. After stamping those two images on Watercolor Paper, I let them dry, then added a Tear and Tape Adhesive to the center stripe. I used the adhesive as my canvas for adhering the Gold Glitter Flakes, then quickly cropped the hearts with my Big Shot and Coordinating Framelits Dies. The ‘Always’ heart sentiment was stamped with Real Red Classic Ink, then touched with an Aqua Painter to add a watercolor look. I stamped the remaining images in Versamark Ink on Vellum, then heat embossed with my Heat Tool and Gold Stampin’ Emboss Powder. All images were quickly cropped with the Big Shot and Framelits. This was my first time playing with the Brusho Crystal Colours and so far I am liking them. Very easy to use and so versatile, you can create so many different looks with one product. I will be doing some tutorials in the near future on how to create different looks with the Brusho. To create the background look on this card, I first added splashes of water by squeezing my Aqua Painter and flicking the drops randomly across the watercolor paper. I poked two holes in the top of my Brusho Brilliant Red and GENTLY tapped the container to allow the crystals & powder to lightly cover the Watercolor Paper. Larger drops of water from my Aqua Painter were added but I didn’t achieve the look I was going for so I joined the large droplets of water to create a wash background. I then took a paper towel and soaked up the extra color. This was not necessary, but I wanted to see what the result would be. I was happy with it so continued with the creation of my card. The All-New Gold Glitter Flakes add so much pop to your creations! I decided I wanted specs of gold on the watercolor paper, so I added drops of glue with my Fine-Tip Glue Pen and then dropped some of the Gold Glitter Flakes into it. I am loving the results and cannot wait to use it again! Today I decided to grab a stamp set that hadn’t been inked up yet (a little challenge for myself) and create a card with it. I have had Sheltering Tree for over a year now and hadn’t taken the time to put it to work. I am sure I have said this before, I LOVE DIMENSION! Since I didn’t see the need to fussy cut an image, I went ahead and added the dimension by embossing the image and sentiment. I also popped up the middle of the main focal point. I didn’t want to stick with just one color so I decided to go ahead and use two. I wanted to use the sentiment “you warm my heart” and felt that the card should give a feeling of warmth and comfort. To me, Gold and Copper Stampin’ Emboss Powder give off the kind of warmth I was looking for. Card Base is Whisper White Thick Cardstock cut to 4.25 in x 11in and scored / folded at 5.5 in. 2nd Layer is Whisper White Cardstock cut to 4.125 x 5.375 in and adhered to the card base with Stampin’ Dimensionals. I first stamped the tree trunk with Early Espresso Classic Ink. I then stamped the leaves and lawn in Versamark and embossed with Gold Stampin’ Emboss Powder. I let is cool, stamped both images again in Versamark, as well as the sentiment, but this time I embossed with Copper Stampin’ Emboss Powder. I flagged the end of the sentiment piece with the Banner Triple Punch. I placed the 2nd layer on the Magnetic Platform, placed the smallest heart die from the Sweet & Sassy Framelits strategically over the tree and zipped it through the Big Shot. I then grabbed the next size larger heart die and zipped that through the Big Shot with a small piece of copper foil. I adhered a piece of Gold 3/8″ (1 Cm) Metallic-Edge Ribbon to the back side of the 2nd Layer with Glue Dots. I then did the same with the 1/4″ Copper Trim. I took a small piece and made a bow, then adhered the bow to the card in the exact place I wanted it. I finished off the card by adding Gold and Copper Metallic Sequins and a Gold Metallic Enamel Shape. There are so many great sentiments in the Sheltering Tree Stamp Set. You can see all that is included in the Photopolymer set below. Have you decided you need to add this wonderful set to your collection? Click on the image below and it will take you to my on-line store to place your order! I have found my love for challenges! They make me think bigger, better and outside my ‘box’. The TTTC006 Challenge Board had me grab a set and use the images I haven’t used yet. I have seen samples and have been wowed and inspired but haven’t gone ahead and created with it until now. I decided to go with the bottom row, across on the Tic Tac Toe Challenge Board choosing Honey, Plaid and Wood-grain! The Honey is represented by the Honey Bees. The Plaid is represented by the All-New Night Of Navy 1/2″ Gingham Ribbon (Love, Love, Love!). The Wood-Grain is represented by the Wood Textures Designer Series Paper. I tend to navigate towards square cards. I don’t know if it because it allows me to have a larger palette to create my work of art or if it is just the symmetry that draws me in. I would say 50% of my creations end up square. I ordered all available 12 x 12 cardstock and hadn’t used it yet, so when I decided to go with the Night of Navy Gingham Ribbon, I checked to see if I had Night of Navy 12 x 12…and I did! So my 6×6 card was born! The next item I picked out was the Wood Grain DSP from the Wood Textures Designer Series Paper Stack (one of my top-ten items from the 2017-2018 Annual Stampin’ Up! Catalog). I wanted to stamp directly on the DSP so I chose to go with the white, one of the many tones available in the stack (see the variety below). Since I was planning on using Stampin’ Write Markers to color in the floral images, I didn’t need to use an archival ink so I went with Always Artichoke Classic Ink for all floral greenery. The Honey Bee and Dragonfly images were stamped in Soft Suede Classic Ink. I have wanted to expand my use of Stampin’ Up! Ink Colors (I tend to hover around the same colors for my creations) so I grabbed one that I do not remember using in a very long time. I wanted to stay within the Regals family so I thought Rose Red was perfect for adding color to the large flower images. I wanted the middle of the flower to coordinate with the honey bees so I used Crushed Curry (one of my favorite colors) for the center of the flower as well as some of the smaller petals. The wonderful sentiment is from the Layering Love Stamp Set. I stamped it in Rose Red Classic Ink to compliment the flowers. I also layered a piece of Crumb Cake Cardstock behind the Wood Textures DSP. I wrapped the Night Of Navy 1/2″ Gingham Ribbon around the Crumb Cake / Wood Textures DSP prior adhering it to the card base with Stampin’ Dimensionals. The Touches of Texture Stamp Set is an all-time favorite of mine. Although this is the first time I have used the floral images from the set, I have used the texture images several times on past creations. It is the perfect addition; that subtle touch of texture to step up a work of art. Take a stroll through my Pinterest Board, can you tell which cards contain a touch of texture? I hope you have enjoyed my creation for the Tic Tac Toe Challenge. Please hop on over and check out all the wonderful submissions and great design team creations! It’s great inspiration all on one page! If you have any questions on today’s card, please feel free to email me or leave a comment on this post. I will respond with an answer pronto!